Hi all! 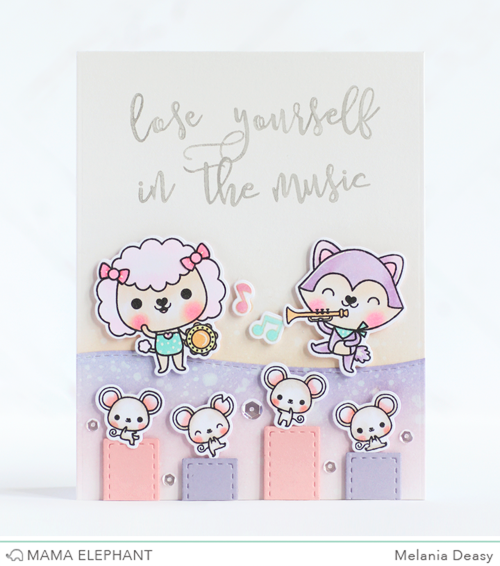 It's Deasy here and I want to share my card featuring Calli Letters. 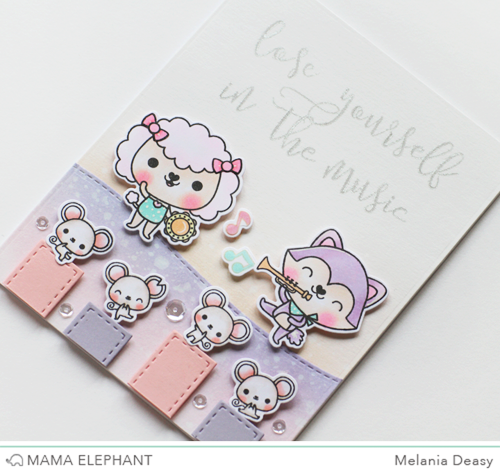 This stamp sets is so fun bccause you can make any sentiment that you can think of. 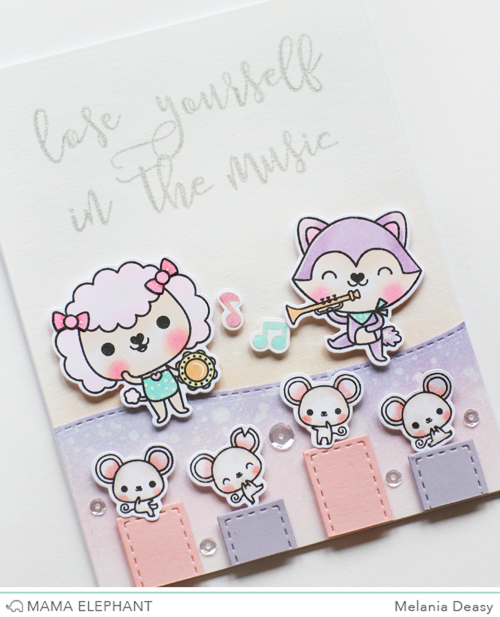 For my card, I make a cute scene of the two playing the music and the other four are dancing to it. They look like having a blast! I stamp the sentiment using Delicata Silver Ink Pad. For the images, I stamp the images using Memento Tuxedo Black except for the tunes using Memento Desert Sand, color it using Copic then die cut it. The background is from Dye Ink with blending tool, then I splash some water with my brush. Thank you so much for stopping by and Happy Stamping! it looks like each word is one stamp! This is the CUTEST MOST ADORABLE card! EVER!! I love the colors so pretty! i am just so amazed/impressed how people are able to stamp individual letters and have the sentiment be perfectly centered. ♥ if i were to attempt this, i would be throwing out plenty of cardstock LOL. This is so adorable! I would love to receive a card like that! I'll bet the recipient loved this card. This set must be mine!!!! This is such a clever and cute way to use these calli letters on a card with the rock stars - so cute and super fun!! Wondering how easy it is to truly line up for those of us not so talented? I want but really not sure it is a good investment for me???!!! Would appreciate a reply from anyone who can say!